The single best book on modern Afghanistan. 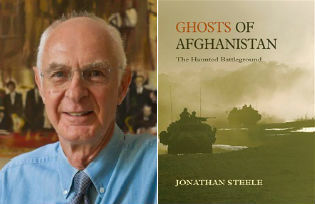 There have been a plethora of books about Afghanistan but few of their authors have the breadth of experience of Jonathan Steele who has been covering the country for the last thirty years. The veteran foreign correspondent for The Guardian, Jonathan Steele, has been a frequent visitor to Afghanistan over the last thirty years and his book The Ghosts of Afghanistan looks at the full sweep of the country’s contemporary history from: the Russian invasion, the Mujahideen takeover of Kabul and the current US/NATO invasion, highlighting where history and human fallibility have continuously repeated themselves. The book puts the NATO invasion in the context not only of the Russian invasion but also the imperial wars of the 19th century. The Russian invasion gets ample treatment as Steele highlights the mistakes made by the Russians that Obama is continuing to make, his attempt to “garrison” the country and push for a military victory instead of forging a peace treaty that to most analysts seems inevitable – a dilemma that paralysed the Russians in the same way. Steele lays out the facts: that no war against the Afghans has ever been completely won and the US war will finish the same way – inconclusively. The only way out is with a peace treaty. Gorbachov showed what a successful peace treaty might look like (involve all national political parties, including insurgents, and the regional powers in brokering peace) but with the collapse of the USSR and Yeltsin’s rise to power, a bankrupted Russia turned off the flow of money and Afghanistan descended into crisis. Steele has frequently come up against myths about Afghanistan and he systematically debunks thirteen of these in his book in an attempt to shed some light on what is really taking place in the country, casting aside all the handy clichés. Some of the myths are old staples: that the Taliban have no popular support, the USSR suffered a massive military defeat at the hands of the Mujaahideen, that the Afghans have never been defeated by a foreign army, that the Taliban are more oppressive than previous regimes and that the Taliban invited Osama bin Laden to use the country as a safe haven. The book works through each myth and debunks each one in turn. Jonathan Steele was educated at Cambridge and Yale. He was Washington Bureau Chief, Moscow Bureau Chief, and Chief Foreign Correspondent for the Guardian. He is currently a columnist on international affairs. His previous book Defeat: Why America and Britain Lost Iraq was published in 2008. He has also written books on Russia, Germany and South Africa. 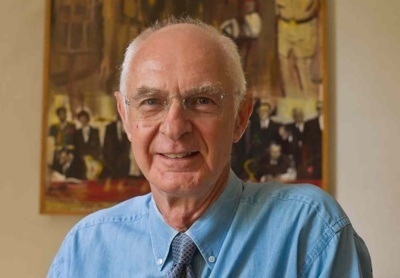 His coverage of the Soviet Union’s Afghan war led to his International Reporter of the Year title in the British Press Awards for 1981, and his reporting on the US and British occupation of Helmand to the One World Media Press Award in 2011. The choice of the word “ghosts” in the title sets out the book’s agenda. The ghosts in question are the many dead as a result of the recent wars, the 15,000 Soviet soldiers, the 2,000 US soldiers and 400 British but also the countless Afghans, over a million – mostly un-numbered and anonymous. The ghosts are also the countless mistakes that the NATO forces are repeating from the Soviet invasion that are coming back to haunt them. As well, the word for ghosts dukhi was the name given to the mujahideen, given that they were so fleeting and difficult to pin down. There are glaring parallels between the Russian and NATO invasions, such as the leaky border with Pakistan which made managing the war almost impossible. The Russians, like their NATO counterparts were also far more adept at controlling the major urban centres but found it impossible to control the countryside or the drug trade. Steele also presents some interesting ethnic clues as to why the conflict is so difficult to resolve. The number of Pashtuns willing to join the Afgan army is less than 4%, hence it is predominantly made up of Tajiks and Uzbeks. In the south of Afghanistan the Afghan army is seen as virtually another foreign army. Steele makes clear that Afghans of every kind just want all foreigners to leave their country, NATO soldiers and Al Qaeda Arabs alike. They have suffered too many foreign invasions that peter out as the war becomes unwinnable. The US will eventually leave but the circumstances have to be right. The US has made too many promises, to the women of Afghanistan and to the burgeoning middle class above all, but Steele points out that the degrading role of women in Afghan society predates the Taliban, it is a historic rural issue where traditionally 53% of marriages are child marriages. Sweeping the Taliban aside will not guarantee modernity. Setting in place a civil society and respect for women’s rights before their departure seems highly unlikely. Ghosts of Afghanistan is very accessible, well-written and informative. Steele bases his work on countless interviews with Afghans, Soviet officers, Taliban leaders NATO officers and UN negotiastors as well as the Wikileaks documents which he was privy to at the Guardian newspaper. He has examined the problem from every point of view and a is convinced that a peace treaty is the only way out even if that peace would have a sting in the tail as NATO would be obliged, as he expresses via a quote from a UN official at the end of the book, to abandon the ordinary Afghans to the Taliban while insisting no doubt that it was the Afghans who let them down.